 Our company has over 15 years of real estate and property management experience combined . Our expertise is managing single family, multi-family and commercial buildings. We represent homes, condominiums, town homes and all sizes of apartment buildings and home owner associations. We cover all of the island of Maui with a focus on the South Maui communities of Kihei, Makena, and Wailea. Our success comes from exceeding our clients expectations of leasing, maximizing rents, unit turnarounds, lowering expenses, monthly reports, city inspections, and communication. Our mission is to be the industry leader offering each client a personalized and professional experience that is built on performance, communication, and trust. We utilize the latest technology, successful marketing strategies, sound systems, and most of all a great team of people. Our team treats your investment as its own. 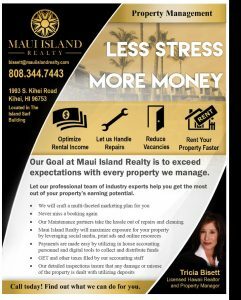 Our entire team at Maui Island Realty looks forward to exceeding your expectations.